Hyperstrada 2015 is my third bike. I bought it new last year and i already add 28500km (17K miles) on. Before that I was a monster 620 owner, and long time ago, i learned on a suzuki Katana 750. My inspiration that lead my motorbike life is ride free as far as i can with the essentials to live in the time granted. The hyperstrada suited to perfection this philosophy. 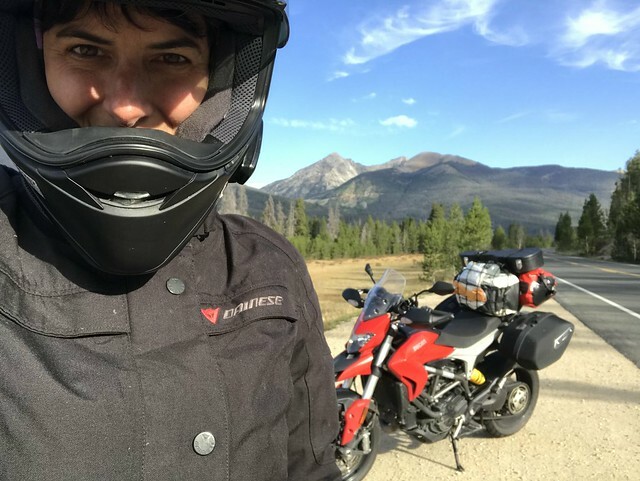 Last august i tested it, one month gone on the road: from Montreal (Canada) to Pinetop Arizona, passing by road 66, and on the way back passing through beautiful state like Utah, Colorado and else.. Hyperstrada became what is builded for : freedom. I also want to add that my passion for motorbike bring me to complete my mechanical degree, and work one season in Ducati dealer few years ago. So i have some knowledge to perform some maintenace and fix my bike. I come here to this forum, cause it’s the best place to shared with people as passionate as i am. Oh yes, i don’t want to forget to tell you that i am french speaking, yess i know sometime my writing could be weird but i’ll do my best! Last edited by K31; September 23rd, 2018 at 07:41 AM. It's a great bike. I did 2000 kms tour in 3 days with no problem. Fun to ride. Wow, one month on the road sounds amazing! Welcome! Welcome! Rad photo from your trip looks like you are loving that bike as intended.